if you dont mind me asking, whats your monthly bill? You should have just waited till summer and get the new one. Though I'm sure there won't be a huge difference. One thing cool about the iPhone regardless of which one you have. Is that you get the firmware updates to keep adding more and more functionality to your phone. Hopefully am getting my first iPhone in a few weeks when I go home for break! what's that one gonna be like? Well they are beefing up the hardware because of all the apps and what not. They're working on bringing flash to the older iphones, but this one is suppose to have it for sure. Here's two things I've found on it. 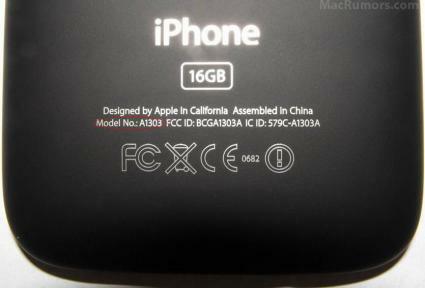 Images claiming to depict the back cover of an upcoming iPhone have started circulating on the internet. iPodObserver first posted a version of the above photo that allegedly depicts an unreleased 16GB iPhone with the model number A1303. This new iPhone case is said to "shed its glossy appearance for a matte black look" and also introduce a new case-back made of metal. The site seems confident in the photo and reminded readers that they were also responsible for publishing an early back-case photo of the iPhone 3G. MacRumors has also received additional images (below) that appear to be from the same series. While we can't confirm their authenticity, we present them for discussion given iPodObserver's apparent belief in them. 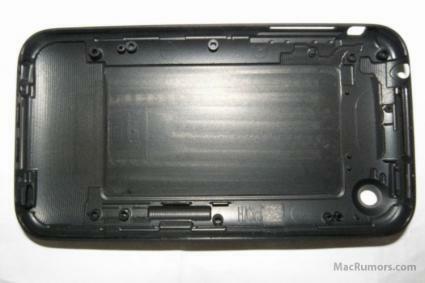 The images have reportedly come from China and are said to depict the back-casing of the next iPhone. The case is also said to be textured for better gripping. The original iPhone came with aluminum back casing. 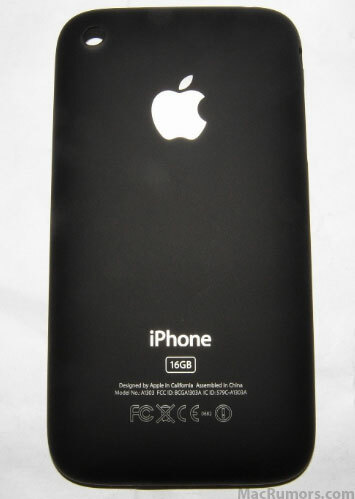 This design eventually gave way to a smooth plastic curved back of the current iPhone 3G. MSNBC put the spotlight on a new report by RBC Capital Markets analyst Mike Abramsky, who believes that an entry-level $99 iPhone will arrive in June or July alongside an upgraded (higher screen resolution) iPhone 3G. The $99 entry-level iPhone looks remarkably like the original iPhone with an EDGE-only network connection but a discounted monthly plan. The upgraded iPhone 3G, however, seems to only add video, storage and a higher resolution screen to the mix. The report looks like a rehash of circulating rumors and speculation. And in the end, analyst reports as a whole have been a poor predictor of future Apple products, but we published this for interest's sake. The next-generation iPhone, however, is certainly in the works as evidenced by model strings found in the latest iPhone firmware. One interesting note is that the possibility of an increased resolution (720x480) iPhone might be less of a problem for app compatibility than rumored plans for a smaller Nano screen. While developers may still have to issue new versions of their apps, scaling to a higher resolution would presumably be easier than the other way around. Meanwhile, the 720x480 resolution has been said to be planned for Apple's long-rumored mini-tablet/PDA project. 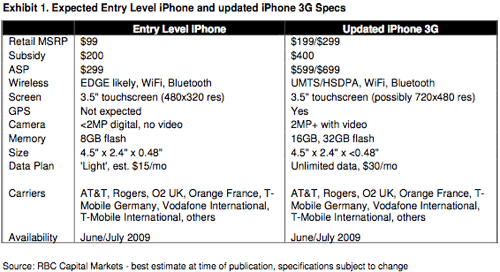 But ya, other things I've heard have the new iPhone being a little more beefed up then that one spec sheet estimates. Though I hope that video thing is true. I also like the new case, since it will be harder to drop. Apple usually updates their stuff about once a year, the iPhone won't be any exception. Does anyone remember when they announced the 3G? I look forward to seeing what the new one will do. Google Sync for the iPhone. I'd imagine this would be best for PC users, and the Mac and iPhone are good about syncing everything. is there a good FLAC > V0 converter for the Mac? What does this have to do with FLAC > v0? yeah I know this. MAX is another program that converts. WHy not just use XLD w/ 260kbps? It's just higher quality than it was before.